As a concerned employer, spouse or parent, entrusting a device with as much power and room for abuse as an iPhone is sure to cause some anxiety. With the iPhone Spy Stick, you can put your worries to rest. Find out for sure if your employees are wasting time on company phones. Determine if your child is sending and receiving inappropriate pictures. Check to see if your spouse is where they say they are. 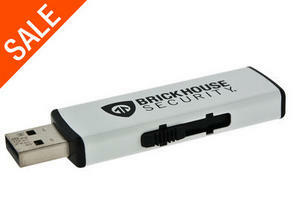 An iPhone recovery stick can also be a quick and effective way to retrieve and backup your data. The iPhone Spy Stick can even recover information without the presence of the phone if the phone has recently been synced with iTunes. With simple installation and completely covert operation, this iPhone data recovery tool is the perfect way to ensure that iPhones you’re monitoring are being properly used. With the iPhone Spy Stick, you’re able to monitor employees to ensure efficient company phone use. Entrusting an employee with a tool like an iPhone is a major responsibility. By using the iPhone Spy Stick, you can tell if an employee is abusing your trust by spending company time on personal business, surfing the internet and sending text messages. View call, chat, and web histories, and see text messages (even if they’ve been deleted) with the iPhone recovery stick. If trusting an employee with an iPhone makes you anxious, that anxiety increase dramatically when putting an iPhone in the hands of your teenager. The iPhone Spy Stick will ensure that your son or daughter isn’t sharing inappropriate pictures and texts, or putting sensitive data out there where thieves can easily use it. Help your teen for lifelong data security habits early on with the iPhone Spy Stick. This product complies with federal law. It is designed for use only on a device that you own or with the owner’s permission. Speed of scan: Varies from 1-20 minutes (for best results, make sure you have the latest version of iTunes installed). Phones with more data stored may take longer to recover than others. If recovery process goes beyond 1 hour, you may want to try the recovery on a different computer. Check out more Spy Gear for Private Investigators.